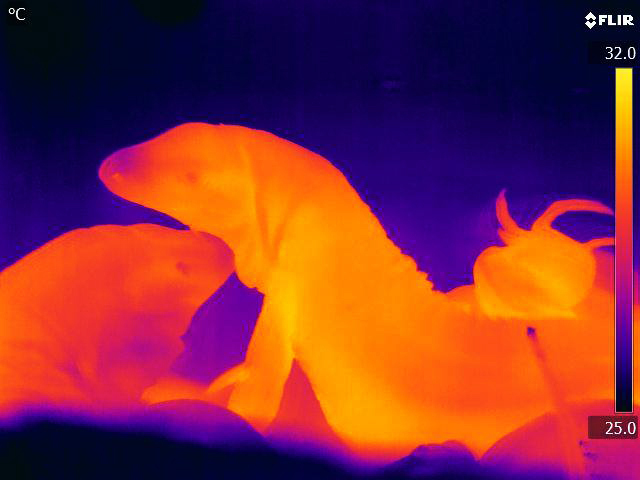 Infrared image of two tegus, courtesy of the Tattersall Lab. I haven’t done one of these short, newsy posts in a while. However, I felt this one warranted the attention. Tattersall, G.J., Leite, C.A., Sanders, C.E., Cadena, V., Andrade, D.V., Abe, A.S., Milsom, W.K. 2016. Seasonal Reproductive Endothermy in Tegu Lizards. Sci. Adv. 2:e1500951. 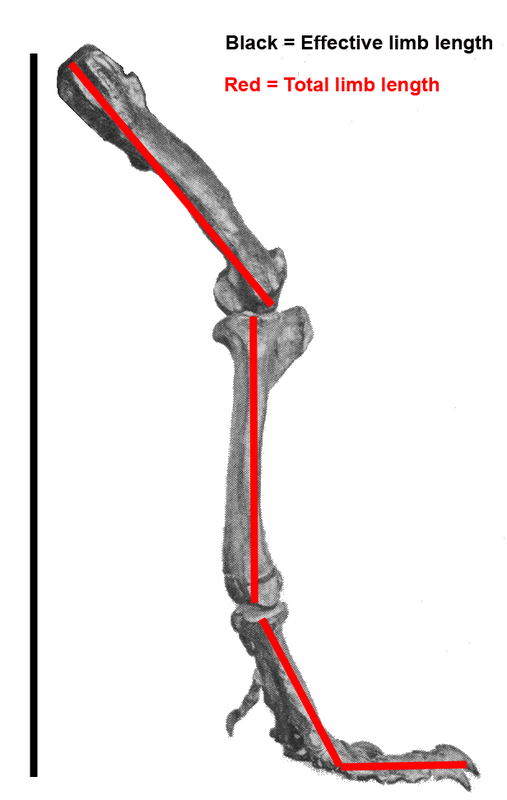 In another example of slow-cooked science, this paper was the culmination of over three years worth of work collecting data on tegus. For the study, the authors looked at adult black and white tegus (Salvatore merianae). Tegus are an interesting group of lizards. They are the largest members of the family Teiidae and are often referred to as the monitor lizards of the new world, due to their convergent lifestyles (highly predaceous, active foragers). Besides their varanid-like demeanor, tegus are also known for their enormous jowls, especially in the males. The jowls hold the pterygoideus muscles, the big jaw snappers, which have been shown to increase in size for males during the breeding season (Naretto et al. 2014). As reptiles, tegus have been assumed to follow the standard ectothermic lifestyle of requiring external sources of heat to warm their bodies and maintain stable body temperatures. Looking at the natural history of the animals, tegus appear to fit the mold pretty well. They have distinctive winter and summer activity levels. In the summer, the animals regularly maintained body temperatures of 32–35°C, and in the winter they let their body temperatures drop to the temperature of their burrows (15–20°C). This is all fine and good for a bradymetabolic, ectothermic lizard, but when the researchers tracked body temperatures over time they discovered something completely unexpected.